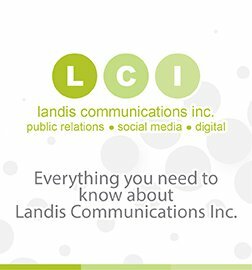 LCI takes an integrated approach to web design and the complete web creation process based on your brand’s unique selling position to integrate all marketing and communications activities seamlessly and effectively. After consultations, in-depth discussion of needs, market research, and the concept and web development phase, we test the user-experience and finally make your site live. Our process is detail-oriented with our customized client questionnaires and personal staff CMS training helping to create successful launches. A new website launch for pr purposes can include many department skill sets, including web development, responsive design, app development, copywriting, analyst tours, branding, press launch, messaging, and media training. These days, it’s imperative that website design is consistent for the customer across all platforms, especially in the mobile space. LCI staffers have a long tradition of having worked in the news media and understanding Internet content and design. As a result, we know what makes a business, product, or service unique. We are adept at translating this simply and effectively into language that speaks to the right audience. And simply put, LCI creates the web sites and buzz and that get the results that propel a business forward successfully. We also know and understand the importance of keyword and SEO that help our clients’ websites appear high in the organic search results for their industries.